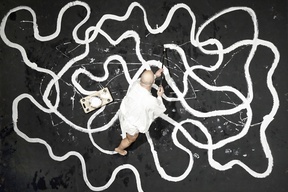 Ultraorbism is an distributed performance directed by Marcel·lí Antúnez Roca, based on True Histories by Lucian of Samosata. It is part of the European project SPECIFI and the research area RICHES. Support is from the Ministry of Culture of the Government of Catalonia, the i2CAT Foundation, and live participation by actors and the audience at the University of Falmouth, Cornwall (Great Britain). Ultraorbism had one of the Excellence Awards, Art category of Japan Media Art Festival in 2015.